Sales Engineer @pagerduty. EE @uwaterloo alum. Ex- @salesforce, @assistly. Health & Wellness Tech. Strategy + Bus Dev. Global Experience. Worked at @clinton-health-access-initiative, @gsf, @united-nations-foundation , @telus. UofT '07. CEO @ Pivot Labs Inc. Customers included Intel, Absolut Vodka. 15+ years in business. Latest startup revenue positive in first week. Enterprise s/w space for 12+ yrs, primarily around "new age" enterprise technology, mobile, big data (B2B, B2C). Work and compete with startups. Previously co-founded @seat14a @twomangoes, and "Savillian" - menswear label. Waterloo grad, MBET, Canadian. Digital marketer and entrepreneur skilled in persuasion, marketing strategy and storytelling. I'm going to make them a deal they can't refuse. Director at INcubes, Managing Director of CleanTech North & Organizer of StartupDrinksTO. Independent Venture Capital expert; built Canadian Angel community. VP, Business Development @500px. Strong background in Fortune 500 sales and strategic relationship development. Leadership Led development of product strategy and execution of International expansion plan into 30 countries for a Software Company resulting in 200% annual growth rate and 82% gross margin within 3 years. Dalhousie University graduate. Worked at MavenSay as Web Content Editor + Social Media Manager; launched MavenSay's web content and social media strategy. University of Western, ideas guy, idea implementer. Entrepreneur in Residence at Baycrest Hospital. Experience building ideas and research into products and markets. IT background with MBA 2004 from Ivey. Business development professional with international experience; helped companies increase revenue by more than 200%; Looking for my next challenge. Cornell MBA, U Toronto Law, experienced founder, sales strategist, relentlessly driven, sales director at small-mid sized tech / consulting cos.
COO of Koru. Lead sales associate at Medcan. Started PR firm that was acquired. Ran Canada's top biz plan comp. Business, @queen-s-university University. @ibm SmartCloud Product Manager. Acquired by @ibm via @outblaze (member of executive team). Founded DNA Charles consulting, and @ubisu, a product design company. Digital Strategist at @canopy-labs. Formerly at @united-nations. @university-of-toronto Class of 2014. Entrepreneur, MBA graduate, marketing professional. Co-founder and CEO of Luevo, a crowd-funding website for emerging independent fashion designers. Founder of Karrot.ca. 2nd software startup out of university. Studied marketing at Wilfrid Laurier. Strong product management background, complemented by mrk & sales. CEO of MagneticHR - started out of University. Strong sales and marketing background. Tireless work ethic. Strong business and analytics background; worked at Facebook, LoyaltyOne, PepsiCo; passionate about developing others. Masters of economics from Simon Fraser University. Got my love of tech from doing my undergrad at the UWaterloo. Product Manaement, sales, and Marketing. President @ImpactOrg. Human rights delegate to Rwanda @globalyouthcnct. Top 20 Under 20. I lead multiple non-profits; conducted a 10,000 person survey. Closer. Effective management and leadership; communications prowess; entrepreneurship experience; interpersonal intelligence; out-of-the-box thinking; abundant energy. Experienced Sales & Marketing. Largest Internet Marketing company. Biggest Domain & Website Builder wholesalers. Market focused product manager, accustomed to building the plane as it's being flown. Successfully launched an iPad app & API platform. Passionate about retail, technology and operations. Experienced with full-agency account management, inside sales, copywriting and analytics. Country Manager @tilt-3 . 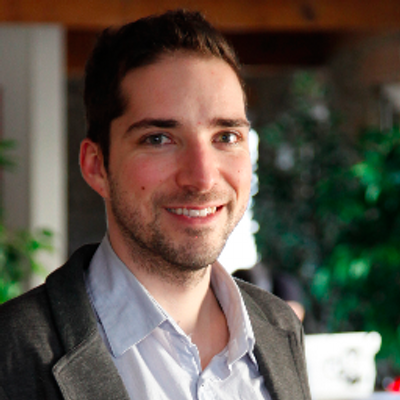 CEO/Founder of @vestiigo (acquired by Talentlab). Market Planning & Pricing @bell-mobility. MA @grenoble Graduate School of Business. Business Development Lead @functional-imperative . Founder @un-lease-com MBA with a history of hustle and background in sales & entrepreneurship. I have over 14 years of expertise in the online and software industry. This has allowed me to contribute to many different roles in the digital world. Schulich School of Business MBA 2013, Self starter, Entrepreneur, Good Leadership and Customer Relation skills. Communications Assistant at Schulich School of Medicine and Dentistry. Experienced with social media platforms. Past web design and management experience. Growing great technology companies through sales enablement and customer development. A results oriented executive delivering sales leadership, operational, change management and entrepreneurial expertise. University of Waterloo EE; Worked at BlackBerry (various), Trimble Navigation & Ericsson Canada. Generated many millions of dollars of business at aerospace, manufacturing and hi tech companies. Looking to join a start-up opportunity with unique technology. Economics with Finance Specialization at Waterloo. Passion for marketing, sales, and driving results by thinking outside the box. A business minded individual with a passion for technology and innovation. Extensive exposure to every phase of the product development life cycle. Hustler! Sales Warrior! Leisure sports enthusiast! Swim fanatic! Sold to Fortune 500 companies. Law Student at Cassels Brock; sales and business strategy (Oracle, Deloitte); Ivey HBA/Western Law. Financial services professional looking to join the startup world. National Account Executive at Shifthub. Experience building tech startups. Strong knowledge of sales, marketing and strategy. Former Marketing Executive turned Entrepreneur, with stong leadership skills and experiance building and managing large multi functional marketing teams. Recent MBA grad. Strong regulatory and health experience. Worked with federal government for five years and clients including Google Canada. Aspiring start-up junky! Richard Ivey School of Business - HBA 2010 (Dean's List). Award-winning lecturer at Western University. Super-connector and communicator. Creative evangelist with 15 years of partnership, sales and operations experience in big tech and startups. MBA / LL.B. (JD). BA from Western University of Canada. Started my own flag football league in London Ontario. Honors BBA with Specialization in Marketing & Brand Communication, excellent at Marketing Strategy; Worked at Samsung and Microsoft.